When it was released in 2013, the novel was the subject of a sustained smear campaign for its sympathetic portrayal of Armenians. Five years ago, Akram Aylisli was perhaps the most notorious man in Azerbaijan. Upon the release of his novel, Stone Dreams, he was the subject of a state-sponsored smear campaign claiming that his sympathies toward Armenians made him a traitor to his nation. In response, the support from abroad was just as strong, and an international group of prominent academics nominated him for the Nobel Peace Prize. Today, 80-year-old Aylisli’s life is much quieter: The protests against him have long faded, and his name now rarely appears in the press. He only occasionally leaves his apartment in central Baku, and when this reporter called on him at home he was watching the Russian-language History Channel on mute. But he and Stone Dreams are again about to enter the spotlight: The first authorized English-language translation of the book comes out November 21, along with two other novels in the trilogy, Yemen and A Fantastical Traffic Jam. In an interview with Eurasianet, Aylisli expressed high hopes for the new edition. While it has been available in Russian, “in English – that’s something different,” he said. Aylisli was once one of Azerbaijan’s most famous writers, and he enjoyed the favors of the state – both the Soviet Union and independent Azerbaijan. His works were taught in school and he was a member of parliament from 2005-2010. But the controversy began in 2013 when a translation of Stone Dreams was published in the Russian literary journal Druzhba Narodov. The novel alternates between narratives of Aylisli’s ancestral village of Aylis, in Nakhchivan, where Armenian residents were killed and driven out during World War I; and Baku as the Soviet Union collapsed, where Armenians were subjected to pogroms. “If a single candle were lit for every Armenian killed violently, the radiance of those candles would be brighter than the light of the moon,” one of Aylisli’s characters in Stone Dreams says. Aylisli maintains that Stone Dreams portrays Azerbaijanis positively, as humanists who tried to hold on to moral values while others around them were succumbing to nationalist hatred and crass opportunism. “I didn’t write with hate, but with love,” he told Eurasianet. Aylisli also argues – and many agree – that the problem was not Stone Dreams and its sympathetic treatment of Armenians, but the next novel in the trilogy, A Fantastical Traffic Jam. The portrayal of a dictator in that book may have resembled too closely Heydar Aliyev, the father of current president Ilham Aliyev who is celebrated as the father of modern Azerbaijan. Nevertheless, anti-Armenian sympathies are easier to manipulate in Azerbaijan than are pro-Aliyev ones, and a campaign against Aylisli took place across Azerbaijan, with crowds of people burning his books and picketing against him. One politician offered a reward of more than $10,000 to anyone who cut off Aylisli’s ear and brought it to him; others demanded Aylisli undergo a blood test to determine if he was truly Azerbaijani. 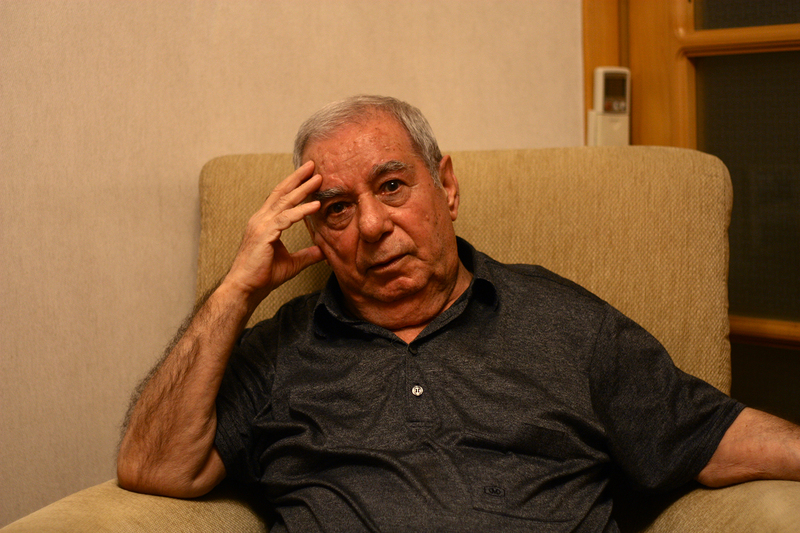 Aliyev, citing Aylisli’s “deliberate distortion of the history of Azerbaijan by his entirely slanderous pronouncements,” issued a decree formally stripping Aylisli of his title as “People’s Writer” and revoking the special pension he had received as a distinguished artist. The reception to the book in Armenia did not help matters. It was enthusiastically received there, with a number of unauthorized Armenian- and English-language versions being published. But as yet, no Armenian writer has taken up Aylisli’s call to reciprocate his own gesture: to examine Armenians’ own crimes against Azerbaijanis. Joshua Kucera is the Turkey/Caucasus editor at Eurasianet, and author of The Bug Pit. Sign up for Eurasianet's new weekly newsletter here.